A view from high up on the Kilchoman Crags on a sunny day on Islay in April. 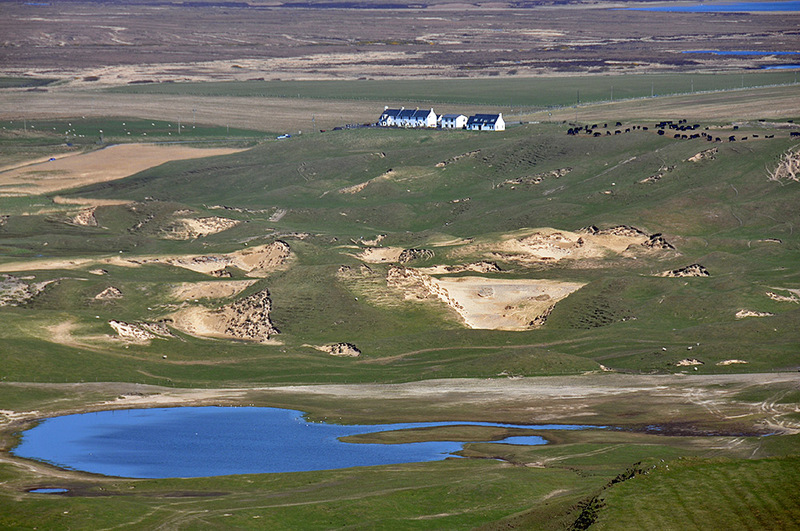 The Coastguard Cottages behind the Kilchoman dunes, cattle grazing in a field at the top of the dunes. Not in the picture, but Machir Bay is on the left. This entry was posted in Beaches, Landscape, New Post, Sunny Weather and tagged cattle, Islay, Kilchoman, Loch Gorm, Machir Bay, Rhinns of Islay by Armin Grewe. Bookmark the permalink. @islayblog Great shot! Was it taken by drone? @islayblog It’s a marvellous view! !